I saw Byron talk about the Bookriot “Read Harder” Reading Challenge and it sounded like the perfect way to read more diversely. Feel free to fill in the list for yourself! And let me know if you decide to take on the challenge yourself! 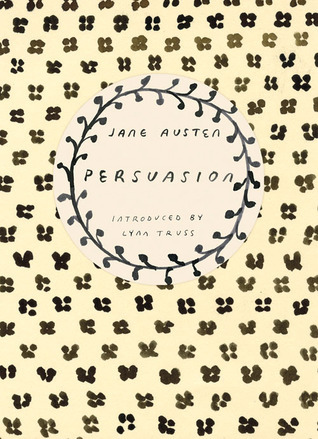 I’ve been meaning to read Persuasion by Jane Austen. What a happy coincidence that this one happens to be an epistolary novel. The Underground Railroad by Colson Whitehead is another that has been sitting on my shelf for way too long. I started reading it a while back but it just wasn’t the right time. Hence why it made it to the list. I don’t think it’s an alternate history exactly, more like a look at history with a dash of fantasy thrown in. I guess I’ll find out more as I read it ;). 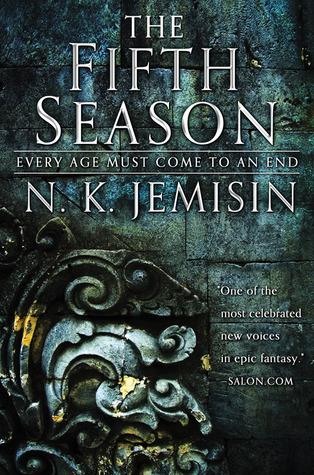 May be cheating a bit but I chose The Fifth Season by N K Jemesin (to start with). It’s actually the third book in the series (trilogy?) that won the Hugo Award in 2018 but the previous books have each won the same award in the years before. And I guess that’s saying something. That and the fact that I’ve heard a lot of great things about this book so it was on my TBR anyway. 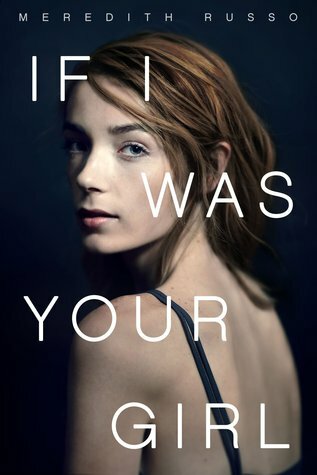 Also, I might pick up the other books in the series if this blows my mind… Then it’s not cheating anymore. I started Good Omens by Terry Pratchett and Neil Gaiman last year because I wanted to read it before the tv show comes out, but I didn’t make it very far in… So I’m going to start over. Neil Gaiman hasn’t let me down yet and a lot of people love Terry Pratchett (haven’t read anything by him yet) so I have high hopes for this one. 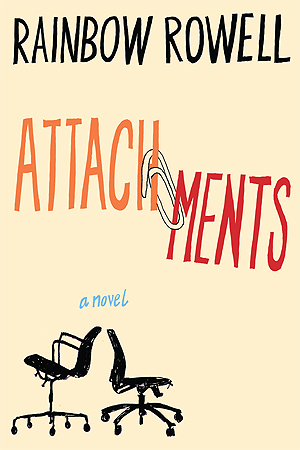 For this task I chose Attachments by Rainbow Rowell. I could have gone all out and read some non-fiction beast about American current affairs or some not so distant history but to be honest… it’s enough to keep up to date with all the stuff that’s happening in my own country. So I chose a fluffy (at least I’m hoping for a lot of fluff) novel instead. Hidden Figures by Margot Lee Shetterly has been made into a movie so I’ve heard quite a lot about it already, but it has always lingered in the back of my mind. I’m really looking forward to picking this one up! In case you don’t know what it’s about, it’s a non fiction and the subtitle should tell you the rest: The Untold True Story of Four African-American Women Who Helped Launch Our Nation into Space. Well, your nation, not mine… anyway… it’s badass women doing badass things…moving on. This one sounds amazing. Like Water for Chocolate by Laura Esquivel relates the bizarre history of the all-female De La Garza family. Tita, the youngest daughter of the house, has been forbidden to marry, condemned by Mexican tradition to look after her mother until she dies. 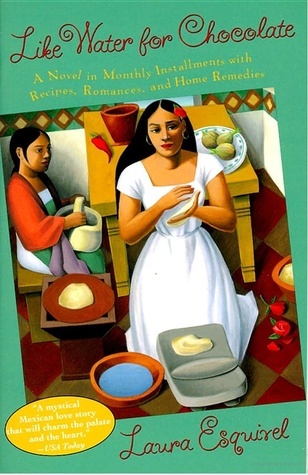 But Tita falls in love with Pedro, and he is seduced by the magical food she cooks. In desperation, Pedro marries her sister Rosaura so that he can stay close to her, so that Tita and Pedro are forced to circle each other in unconsummated passion. Only a freakish chain of tragedies, bad luck and fate finally reunite them against all the odds. Eight-year-old Kahu, a member of the Maori tribe of Whangara, New Zealand, fights to prove her love, her leadership, and her destiny. Her people claim descent from Kahutia Te Rangi, the legendary ‘whale rider.’ In every generation since Kahutia, a male heir has inherited the title of chief. But now there is no male heir, and the aging chief is desperate to find a successor. Kahu is his only great-grandchild—and Maori tradition has no use for a girl. But when hundreds of whales beach themselves and threaten the future of the Maori tribe, Kahu will do anything to save them—even the impossible. One that a lot of people have read and loved, My Brilliant Friend by Elena Ferrante and translated from Italian by Ann Goldstein. I know very little about the book, have managed to avoid any kind of spoilers (if there are any) and would like to keep it that way until I finally read it. It has to happen. It seems to be exactly my cup of tea. I have NEVER read manga before. Of course I’ve seen the tv adaptations of several but I’ve never even held a paper copy. I guess that’s about to change this year. 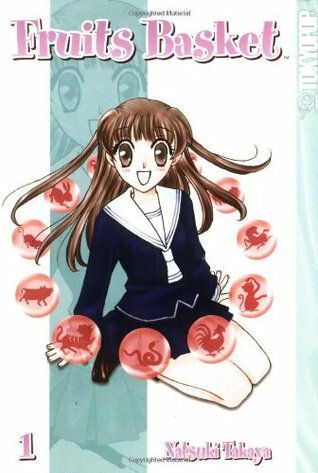 I’m thinking about picking up the first part of Fruits Basket because I used to watch the tv show with my sister yeeeaaaaaars ago and remember we were both completely obsessed with it :). For this challenge I choose Fox 8 by George Saunders. The main character is, you might have guessed from the title, a fox. Another one I started late last year but never finished. It’s a short read so I’ll get through it quite quickly. 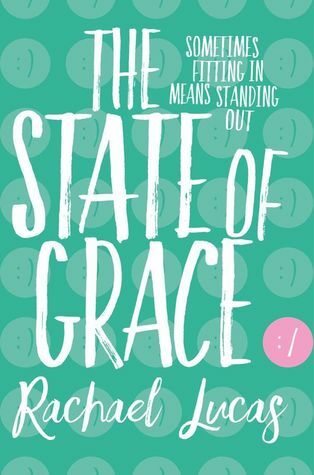 Either The State of Grace wich is an OwnVoices novel or Queens of Geek wich I believe is is also OwnVoices YA Fiction. So either way, this is going to be super interesting and I’m really looking forward to it, maybe I’ll even read both. Guess it’s time I pick up some Agatha Christie. Which one should I read? Does anyone have suggestions? I’m currently in the middle of Mythos by Stephen Fry, so I’ll let that one count for this challenge. 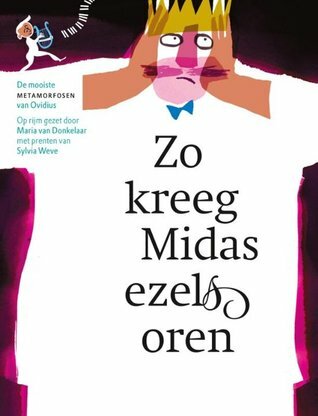 🙂 It could also be Zo Kreeg Midas Ezelsoren or Metamorphoses by Ovid if I get around to finishing that one. So many books, so much to choose from!! I rarely pick up romance novels but I think I would actually like most of them if I gave them a chance. 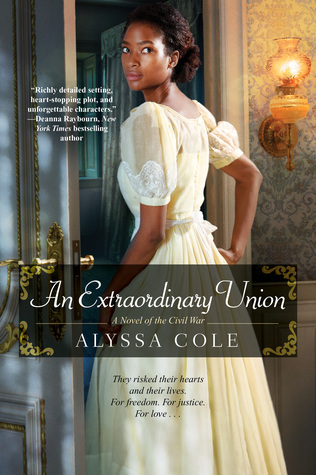 I chose An Extraordinary Union by Alyssa Cole. Again I have two I’m torn between. They both sound incredibly interesting. It’s either Lean In by Sheryl Sandberg or Tribes by Seth Godin. It’s so difficult to find something not set in the US or not talking about something that happened in the US. Bad blood by John Carreyrou has been getting a lot of hype. I’ve seen it on the Insta’s of a couple of people who’s opinions I truts when it comes to books. I only know a little about it and I think I’ll keep it that way. 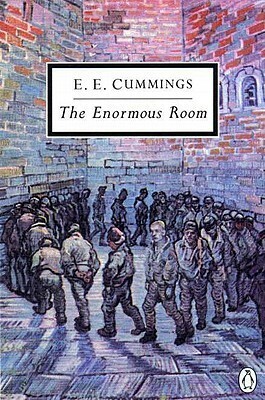 A high-energy romp, the poet’s prose memoir recounts his military service in World War I, when a comedy of errors led to his unjust arrest and imprisonment for treason. 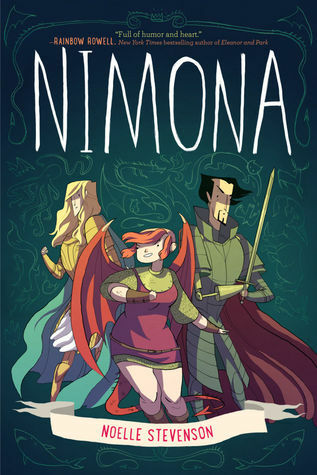 I’ve been wanting to read Nimona by Noelle Stevenson for such a long time and I finally have a specific reason to pick it up!! This is one of the books I’m most exited for! I feel really bad saying that I struggled with this one but it’s true. 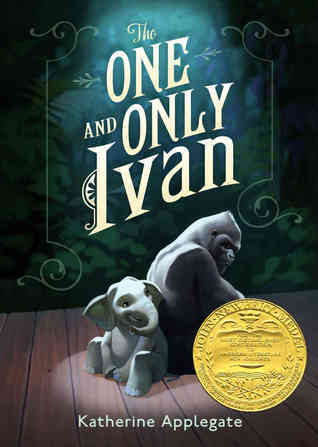 The only book that caught my attention was George by Alex Gino. I don’t know why I struggled so much with this task. 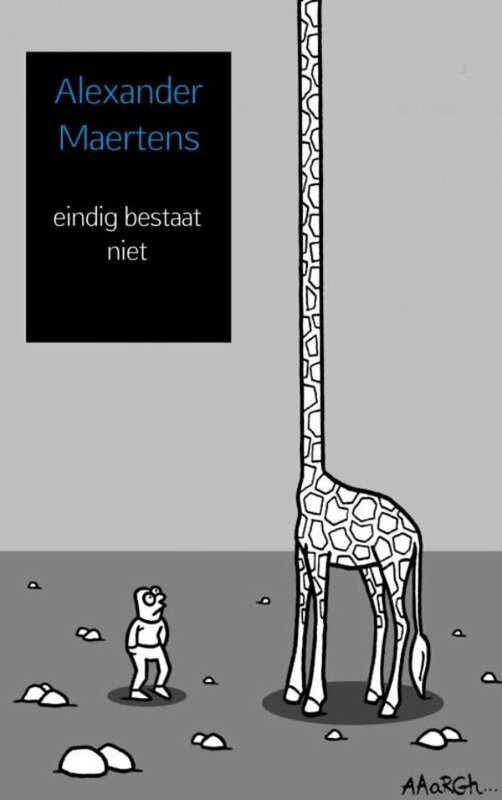 For both these last tasks, I chose Eindig Bestaat Niet by Alexander Maertens and man, it’s weird writing that down! Alexander is someone I went to school with. He self-published his first poetry book and … I don’t know… I think it’s super cool. I’ll probably read more poetry this year but I decided he deserves to be linked to both the tasks. Are you taking on the ‘Read Harder’ challenge? Let me know! Also, are there any books you’ve read on my list? Or do you have other books to recommend me? I’d love to hear all about them!